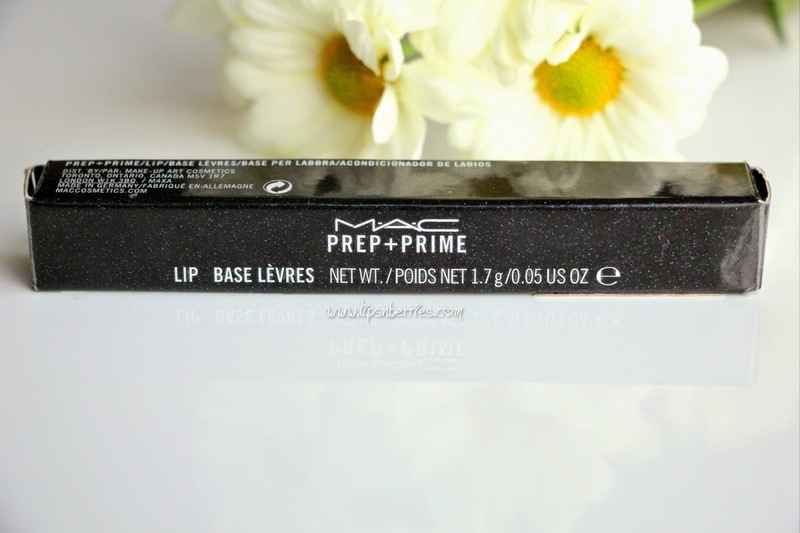 MAC Prep + Prime | LIPS n BERRIES! Ankita from Corallista got married in December 2013. I was getting married in February 2014. This was one product she included in her wedding makeup kit and so did I! As soon as I hit India, this and Ruby Woo Lipstick were the very first buys. MAC Prep + Prime is a primer for lips. Is it worth the moolah? Here's my experience! 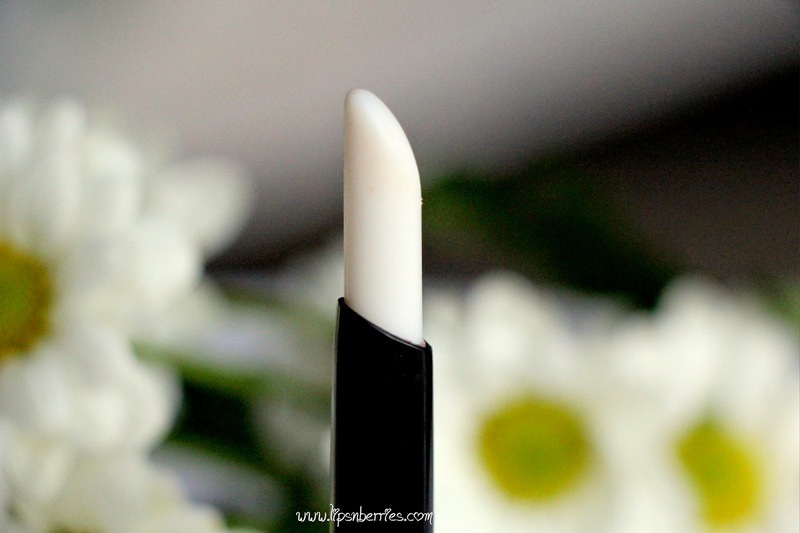 - In-cased in a sleek black bullet pen is a white chap-stick type product. - That glides smoothly & goes on transparent. - Has vanilla scent & no taste. - Feels a bit heavy on lips once applied, later sets to a waxy coating. - Forms a barrier on lips, whilst hydrating them, filling ridges & unevenness. - Lipstick then glides smoothly & matte lipsticks become your bffs. 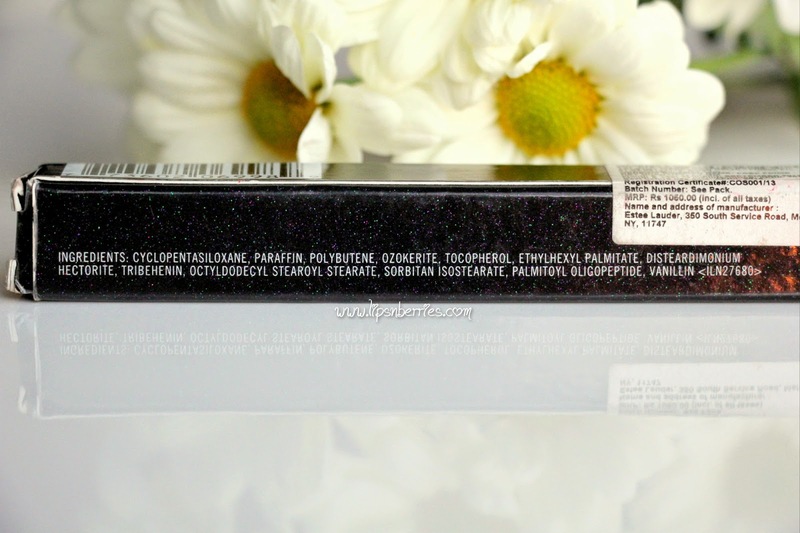 - I bought Ruby Woo well aware of its super drying nature, piling all my hopes on this primer & it didn't disappoint. I've not had Ruby Woo dry out my lips even once. Needless to say, this is a staple in my lipstick routine. - Best applied before putting on a full face of makeup. I usually go- face primer, eye primer & then lip primer. So basically about 10-15 minutes before putting on lipstick. - It doesn't intensify lipstick color or anything but definitely prolongs wear-time. - The barrier it forms prevents lip staining too so dark lipsticks leave you quick. - I've often used it as a heavy duty lip balm when my lips aren't behaving well. Applied at night, it acts as a barrier against moisture loss while repairing chapped lips. In other words, a lip balm in emergency. It'll still be there on your lips when you get up next morning. 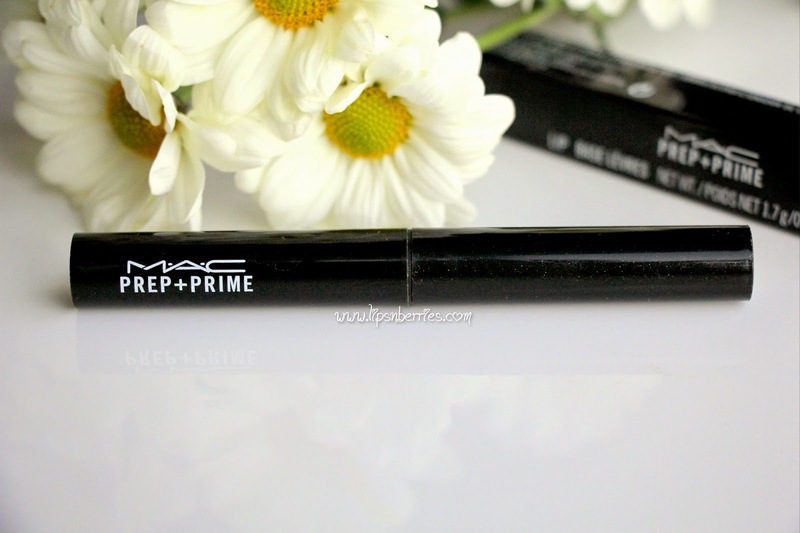 Verdict: If you have perfectly healthy lips, MAC Prep + Prime Lip Base is a luxury product for sure! If matte lipsticks scare you, leave you with sore dehydrated lips, this is your savior. The castor oil in it hydrates you, the silicones form a barrier to moisture loss. Lipstick glides smoothly, stays longer, doesn't go patchy and no stained lips when you get up the next morning! What's not to love? Have you ever tried a lip primer? Would it be something you are keen on? Let me know in the comments below!